This inn is located in Tonopah.Guests are served a complimentary breakfast each morning. Complimentary wireless Internet access is available in public areas. Guest parking is complimentary. 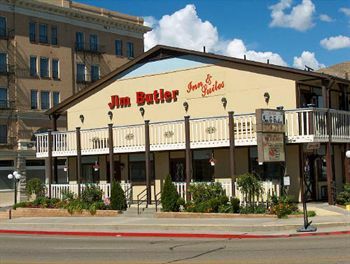 Jim Butler Inn and Suites has 24 guestrooms. Televisions are equipped with cable channels. Guestrooms provide complimentary wireless Internet access. Guestrooms feature coffee/tea makers. Additional amenities include desks. Guestrooms are accessible via exterior corridors.